National Bank analyst expects two headwinds to hit the Canadian housing market if the new rules go head: higher mortgage rates and a higher probability that foreclosures will increase. 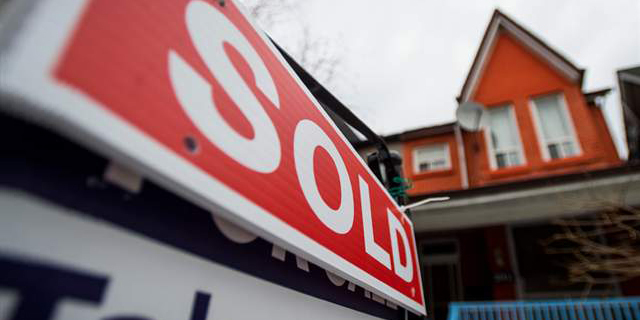 Residential mortgage default insurance premiums are likely to increase for homes in hot real estate markets as a result of beefed-up capital requirements for Canada’s mortgage insurers coming into force next year. “We believe Canadian homebuyers will absorb the bulk of these higher costs directly or indirectly via higher mortgage interest rates,” Routledge said in a note to clients Monday. The capital changes proposed last week by the Office of the Superintendent of Financial Institutions require added consideration of factors including the credit score, outstanding loan balance, and amount of time left to fully repay the mortgage for those who require default insurance. The new rules are to come into effect Jan. 1 following a consultation period, and are intended to account for risks in hot real estate pockets across the country including high price-to-income ratios. Genworth MI Canada Inc., the parent company Canada’s largest private residential mortgage insurer, issued a statement Friday that said the company expects it will compliant with the new framework, “subject to business and market conditions.” The mortgage insurer estimates its pro forma minimum capital test ratio as of June 30 at between 153 per cent and 156 per cent, above OSFI’s target of 150 per cent. Routledge said he expects two headwinds to hit the Canadian housing market if the OSFI mandated changes go ahead as proposed: higher mortgage rates and a higher probability that foreclosures will increase. The combined impact could contribute to a cooling of the market. “Mortgage insurance premium increases passed on to the homebuyer through higher mortgage interest rates will reduce affordability, potentially stunting sales activity and slowing house price appreciation,” the analyst wrote. The analyst said the new rules could also serve to crimp the practice of extending the amortization period of a mortgage to reduce monthly payments when a borrower is in financial distress. This is because, under the new framework, more capital would have to be set aside against those mortgages. “In our view, this weakens the incentive for mortgage insurance companies to forbear, potentially increasing the likelihood of foreclosure,” Routledge wrote. An increase in the number of properties in foreclosure proceedings, in turn, would weigh on home price appreciation, the analyst said. He noted that increased mortgage insurance costs triggered by the new rules could also drive demand for uninsured mortgages.